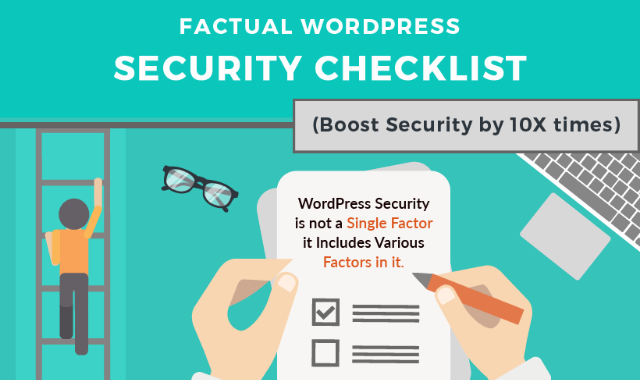 Factual WordPress Security Checklist #Infographic ~ Visualistan '+g+"
WordPress the most popular CMS, the WordPress security concern is also increasing. To make the WordPress more secure regular updates are released to improve the security and fixing the bugs. WordPress security is not a single factor it includes various factors in it. In this post, we are going to see how to improve the WordPress security and also the security factors you need to check regularly in WordPress websites.